It’s Time for the Rubbah Slippah Folks to Rise Up! My dad and brother are just loaded down with papayas these last few months so they could not attend the Hawaii Crop Improvement Association meeting. 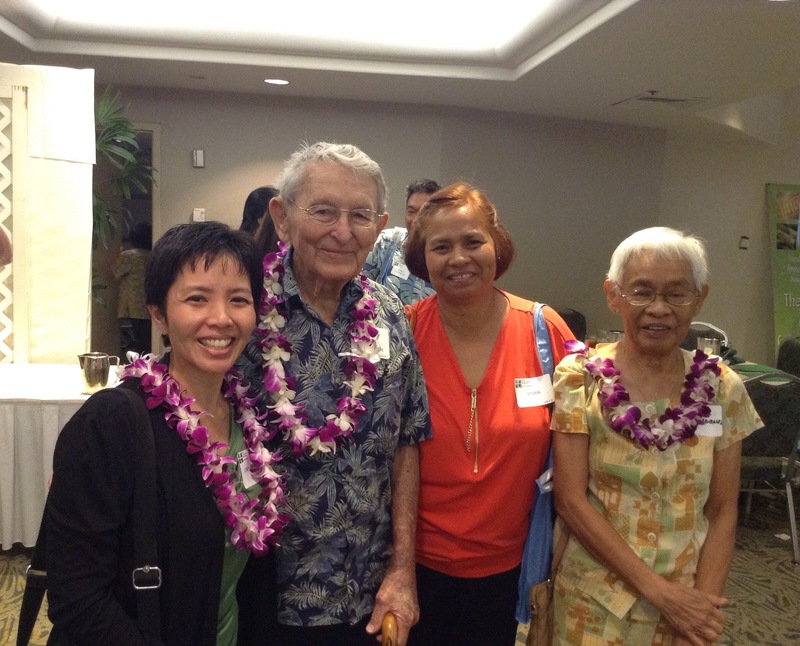 I worked the weekend so I could take a day off to attend it for keep my dad updated as Hawaii Papaya Industry Association president, as well as served as a panelist. At the meeting, I had a chance to shake hands and speak with Dr. James Brewbaker. He is well known as the father of sweet corn in Hawaii and was influential in bringing the seed companies here to Hawaii as pineapple and sugar started to close down. He worked to keep the country country, literally. Dr. Brewbaker shared with me that he’s finally going to retire. He’s already in his 80’s but is still at work in the fields. He told me that there will be a plant breeder position to fill when he leaves. He also said that out of some 50 he’s worked with, very few are local folks. That is just telling about how many local people know of future opportunities in agriculture. There is so much talk about growing Hawaii but the action isn’t really happening. To drive down the country to see fields of green is reinvigorating and re-energizing after sitting in traffic day after day. Leaders talk about supporting the very thing that keeps the country green, but then are launching attacks against those who farm it. The environmentalists talk about preserving nature and take to fencing areas off and chipping away at local folks’ ability to hunt for food like their ancestors did. Government agencies are creating sanctuaries to keep ocean users out of these areas despite no real evidence that support it. I just consider myself a regular local person. 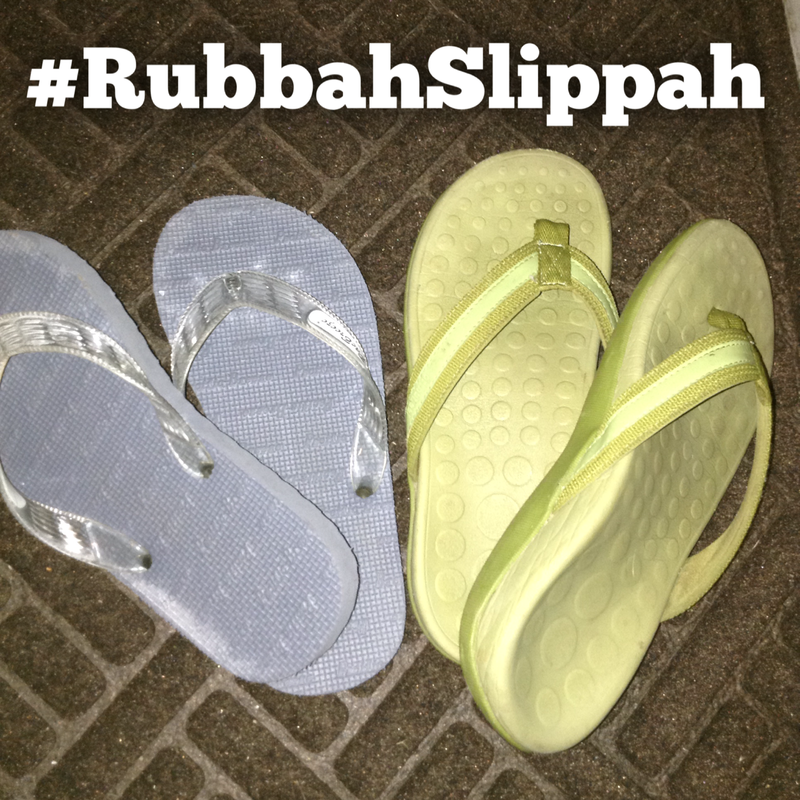 I have two pairs of the staple footwear of Hawaii which is also known as rubbah slippahs. Big Island farmer, Richard Ha, crafted that term to represent the local folks. I have one pair of slippahs for home that is for getting all pilau (Hawaiian word for dirty) and another nice pair for going to the store. Lots of us locals do this. The kinds of actions being taken against the farms, oceans and forests users are just slowly chipping away at what the Rubbah Slippah folks can do. We folks aren’t usually the ones to make a big brouhaha about it as we’ve usually trusted our leaders to be there for us. In this day and age, that is clearly changing. It seems no one elected is willing to take a stand to back the local ways of living. Our leaders seem to feel the need to listen to loudest squawkers to ensure their seat in office. Some are completely turning a blind eye to using sound reasoning and evidence to base policy in and prefer to pander to those who can’t see the unintended consequences. This shortsighted kind of thinking only harms the future opportunities. I really think it’s time for the Rubbah Slippah folks to start rising up or there will be no one to speak for what we want and treasure. Will you join me? Well said Joni. We absolutely need an uprising. Until Hawaiians start tossing out Democrats, the Rubbah Slippah people risk becoming interesting anecdotes. Homosexuals, anti GMO screamers, and eco NAZI’s are running the show. Your Slippahs are made from “dangerous” non-renewable Hydro Carbons. I’d be happy to join in the uprising. Kilauea hasn’t had many sacrifices lately. Can we start with Sen. Schatz? You have my support Joni. The revolution has to start somewhere. I am really tired of having to adjust to those who think they know best about how to manage natural resources, farm the land, and be successful doing it. You would think that those of us who have the most wealth of experience in ag would be asked our opinion by those who know better than us but no, they exist in a place outside of the reality of the daily grind of farming. Keep up the good work! It was good seeing you at the HCIA meeting. John, we apparently just aren’t squeaky enough to be heard. That’s the unfortunate but know that as long as we push for facts and continue our fight for using evidence based practices, we will succeed. Using that path is sustainable. The opposition can only misinform for so long and will eventually catch themselves in their own webs. Keep on fighting for the truth as always!